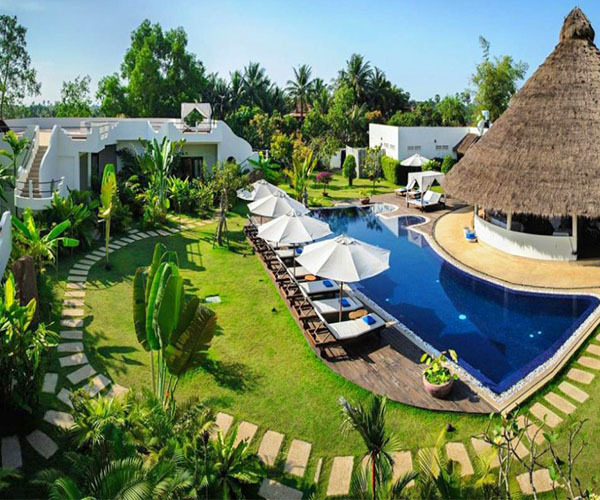 Situated in a tropical paradise in Siem Reap, Angkor, Cambodia, Navutu Dreams Resort and Wellness Retreat is an upscale, eco-chic resort, just minutes from the magnificent temple city of Angkor Wat. The resort caters to a maximum of 56 guests in 28 spacious and well-appointed rooms and suites and is known for its highly personalized service, fine dining and attention to detail. Surrounded by lush rice fields and sugar palm plantations, Navutu Dreams offers an array of signature services at the Honeycomb Spa and daily yoga classes, along with health consultations, personalized detox programs, acupuncture, massage and traditional Chinese medicine –all designed to help guests rebalance and rejuvenate. Navutu Dreams welcomes, couples, honeymooners, solo travelers and families to experience a vacation filled with personal discovery and wellbeing. The resort also offers unique wedding packages that ensure that your wedding day is yours alone. The elite staff of massage therapists and wellness experts at Honeycomb Spa is dedicated to bringing guests whole body health and wellness for the mind, body and soul. Signature treatments range from traditional Asian massages to body scrubs to facials and wraps that incorporate local, tropical ingredients. Detox for the Body, Detox for the Mind, Yoga Mini Break, Forest Bathing, Meditation in Ancient Temple Grounds, Holistic Alternative Medicine including Energy Healing/Chakra Balancing, Breathwork, Mayan Abdominal Massage and Sound Therapy are just a few of the enticing wellness experiences on Navutu's unique menu. Guests are invited to combine any number of spa treatments during their stay to enhance their journey to relaxation and rejuvenation. In addition to offering inspiring spa and wellness services and accommodations designed to provide the ultimate escape and renowned personal service, Navutu is located minutes from the Angkor Wat complex of temples. This UNESCO World Heritage Site is considered the most important archaeological site of South East Asia, and personal guides can take guests on a tour of the most significant sites and make exclusive arrangements to visit hidden treasures of the park. As a wellness retreat, Navutu Dreams also offers access to a range of fitness facilities, pranayama meditationat select temples sites and a guided walking meditation (Forest Bathing) on a pristine nature path at the Angkor Archaeological Park. Three pools and easy access to fun activities including special spa treatments for children, a visit to Siem Reap's authentic Phare circus and bicycle and adventure tours make Navutu a favorite destination for families. Guests at Navutu Dreams relax and rebalance in contemporary and eco-chic accommodations located in three pavilions, all overlooking a lush garden or lagoon styled swimming pool. 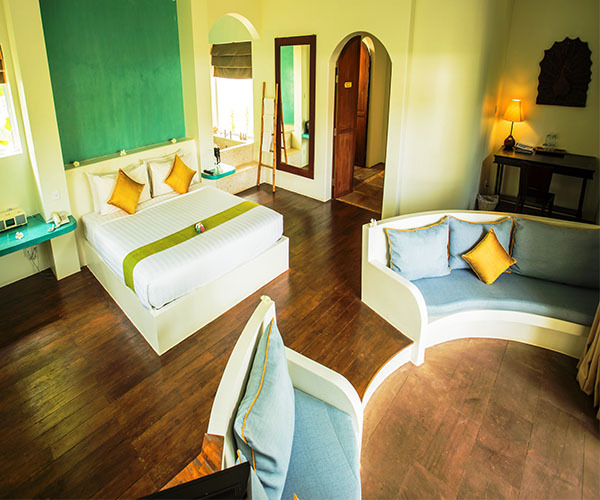 Each room is decorated with hand-carved art made by the tribes in the Cambodia-Laos border and has its own furnished veranda and sitting area. Baths are equipped with his and hers vanities and his and hers showers. Grand Suites, offering the luxury of space and privacy, overlook a private garden and feature a separate living room, which can be converted to a second bedroom. The “Niam Niam” restaurant embraces the finest traditions of Southern Cambodian flavors, along with authentic Italian recipes, contemporary international cuisine and a wellness-dining menu featuring creative vegetarian dishes. Executive Chef Bunchhou also leads culinary journeys to the Agri Sud organic farm, where guestspick the day’s ingredients and then cook and enjoy a meal from the fresh produce they have gathered.